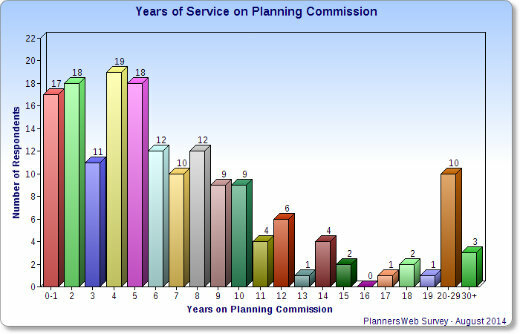 how long planning commissioners have served, and how many of our respondents have served as chairperson. 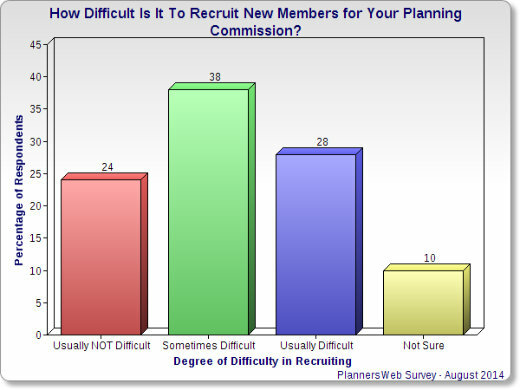 how difficult (or not) is it to recruit new commissioners. 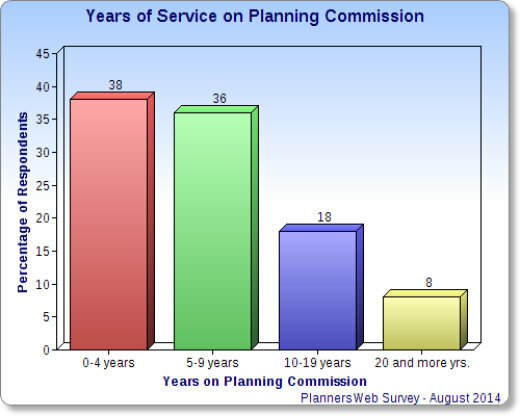 We asked planning commissioners to tell us how long they've served. 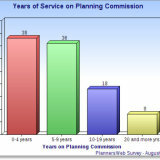 The average length of planning commission service for our respondents is 7 and-a-half years. In another question, we asked commissioners whether they've ever served as chairperson. Altogether, 43 percent said they had. You can see how these responses correlate with length of service in the table below. 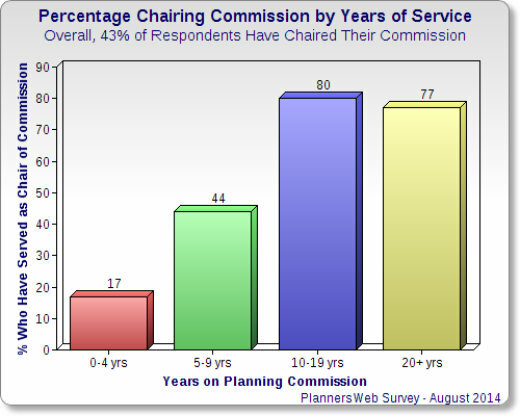 Not surprisingly, those who have served longer are much more likely to have also served as chairperson. The bottom line -- at least from what we heard back from our respondents -- is that many planning commissioners are well-experienced and have played a leadership role on their commission. 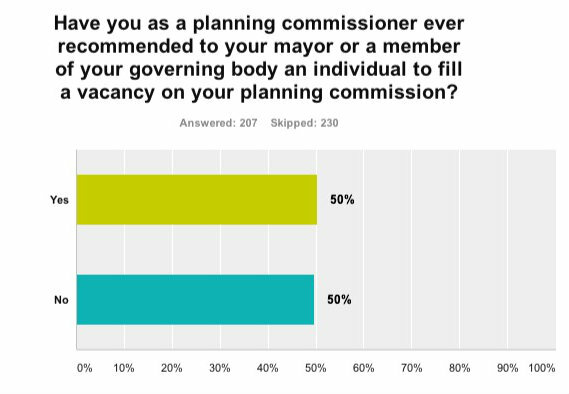 In our questionnaire, we also asked who selects members of the planning commission. Here's what our respondents told us. As you can see, for three-quarters of our respondents, the governing body (i.e, city council; county commission; selectboard; etc.) has that responsibility, at least in part. In some places, both the governing body and the mayor are involved -- 16 individuals noted in their comments that their mayor provides a recommendation to the governing body. 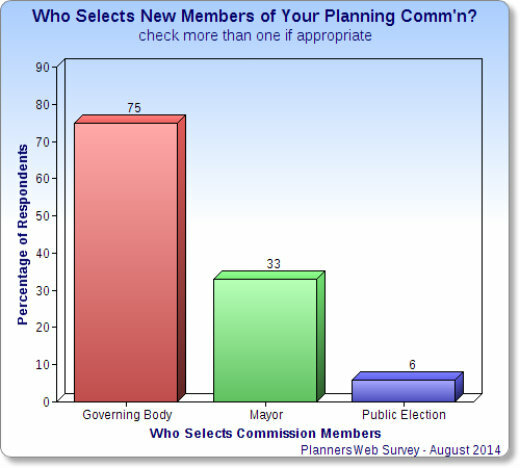 "Each City Council rep selects a planning commission member from their district." "Republican and Democratic Town Committee Official." 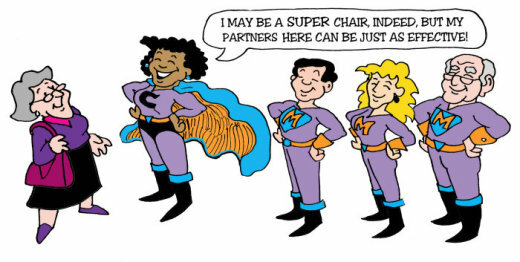 "Each County Supervisor appoints one Planning Commissioner." We filtered the responses to see if there might be a connection between difficulty in recruitment and the type of community respondents are from (i.e, big city, small city, rural area, etc.). 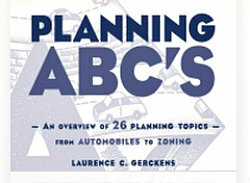 Note: see our earlier post for how we define "big city," "mid-sized city," and so on. 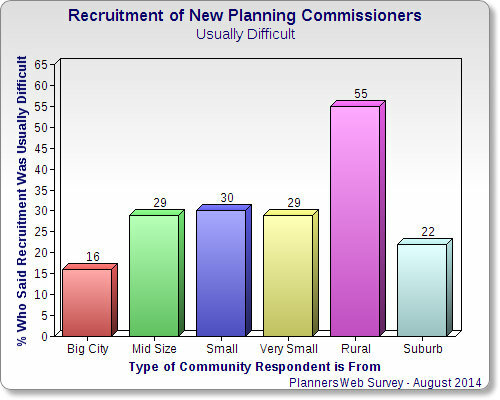 The first table below shows the percentage of respondents in each of six different types of communities who said recruitment was USUALLY DIFFICULT. The second table is of respondents who said recruitment was USUALLY NOT DIFFICULT. Our results -- not surprisingly -- show that respondents from big cities have a much easier time recruiting new members than those from very small cities/towns or rural areas. While, as we've noted before, our survey was not designed to reflect a scientifically-based random sample, our results -- not surprisingly -- show that respondents from big cities have an easier time recruiting new members than those from very small cities/towns or rural areas. "Not necessarily difficult, but appointments are primarily political, which is a big problem!" "Applicants are mostly under qualified, meaning that they lack direct or indirect planning or planning-related experience." "Many in the community have already served and our pop base is small." "In our area, plan commissioners are frequently on a path to an elected position." "County planning commission has greater reservoir of talent. Small towns have less of a reservoir." "The ethic of public service has been so diminished by the press. People are not willing to serve and have their lives made public." "As chair I recommended people to fill board positions to the Mayor for his consideration, and the Mayor discussed who he was going to nominate to the board and why. We collaborated on who would be a good fit for the characters on the team." "I watch for people interested in issues, speaking at meetings, serving as non-PC subcommittee members." "In our town that is a political recommendation." "Board membership is hard to sell." 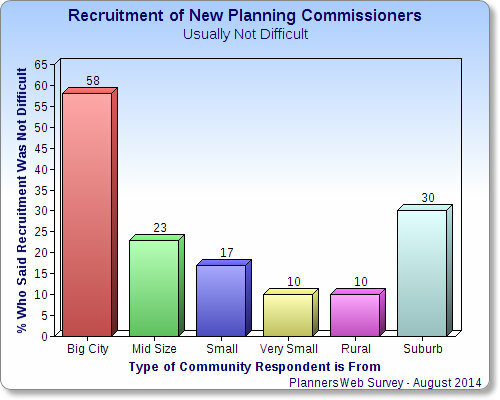 Our Next Post: Ethnic and Demographic Diversity on Planning Commissions.